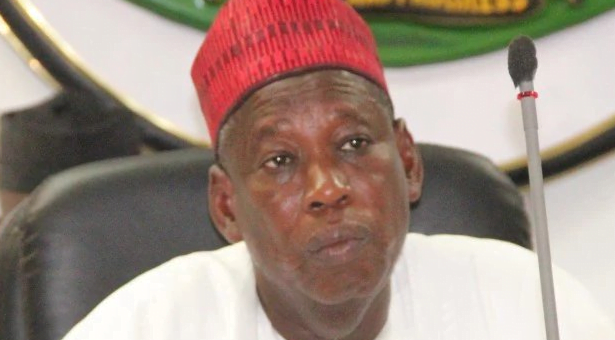 The Centre for Anti-Corruption and Open Leadership, CACOL, has called on the Economic and Financial Crimes Commission, EFCC, to probe the video clip that has since gone viral, showing the Governor of Kano state, Abdullahi Ganduje allegedly receiving $5m (Five Million US Dollars) bribe. CACOL, in a statement sent to DAILY POST in reaction to the video, said the news which went viral since last week alleged that the governor personally receive from 15 to 25 per cent kickbacks for every project executed in the state. CACOL’s statement was signed by its Media and Publications Secretary, Adegboyega Otunuga, on behalf of its Executive Chairman, Mr. Debo Adeniran. The organization said, “You could then imagine how much of diversions of public funds would have taken place under his watch and why a state as large and strategic to the northern bloc has not had any meaningful achievements to point at since he assumed office, unlike his predecessor, Alhaji Rabiu Kwakwanso. “The impression this man was giving, ab initio after starting his tenure, was that Kwakwanso was teleguiding his regime for selfish and covetous considerations, now we know better. “Many of the contractors have attested to this heist by a sitting governor who was busy collecting as much as 25percent of total costs of building stalls for the people, as his personal kickbacks. “The report went further to state that all the investigations carried out on the authenticity of this video by the Muhammadu Buhari’s presidency, clearly confirmed they were never doctored. Since this administration is one that prides itself on total war against corruption, irrespective of whose ox is gored. “We wholeheartedly call for EFCC intervention by setting up a comprehensive investigative panel over this matter while the Kano state House of Assembly should wade in by commencing an impeachment process on the governor to save the state any further embarrassment and prove its own innocence over this unholy act.